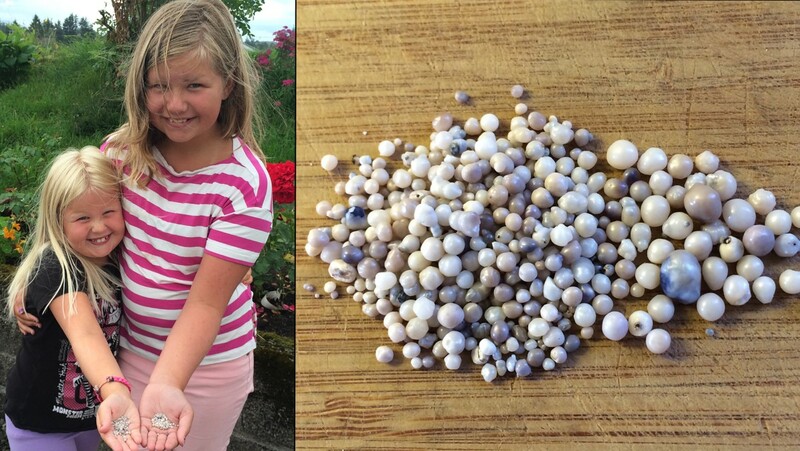 The 2014 Norwegian summer has blown all records and is ranked the hottest in decades with the result of abnormal behavior among living creatures: Sisters Katy (7) and Mina (11) found amazingly 150 white pearls inside a few mussel seashells. 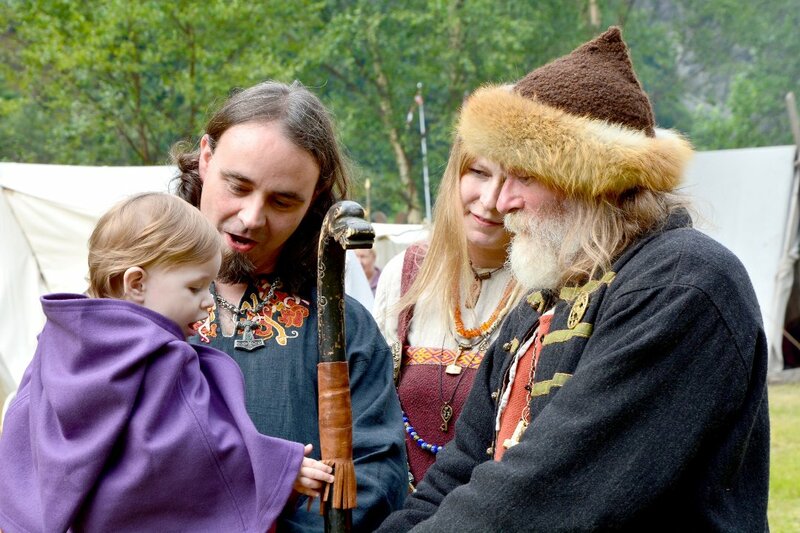 – We have never seen anything like this, says Else Holmefjord to NRK. Holmefjord and daughters Katy and Mina own a cabin in Lindås, Hordaland County. They have never found pearls there before, but this summer they were mildly surprised by what they found in the waters. – The kids wanted to go crab fishing so we would just pick some mussels as bait. When we opened the largest shells, pearls literary exploded out. They were everywhere, she continues. Inside some of the shells they found up to 30 pearls. Pearls are the result of a defense mechanism inside the shell, says researcher at the Institute of Marine Research Øivind Strand. When grit comes into a mussel between the meat and the shell, it creates an irritation. The mussel defends itself by wrapping the grit in nacre, and eventually becomes a pearl. – It is not unusual to find pearls in mussels, but if they have never found pearls in that area before it is very interesting, says Strand. He believes that the shells outside Lindås have started a large-scale production of pearls is because of more grit in the water than before. – It can be explained that by some reason there is an increased amount of particles in the water. There is also a strong tidal current in the area, he continues. Unfortunately, the pearls are worthless but the joy of finding them is priceless. Else, Katy and Mina have decided to turn the large pearls into earrings and a necklace. The smaller pearls will be kept inside a small treasure chest. – There must be great conditions in the water because we have never been experienced anything like that before. It turned out to be a pearl factory and it was the highlight for the girls, says Else.